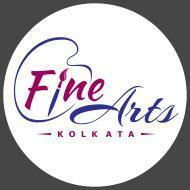 Fine Arts Kolkata is an Organization of Fine Arts & Graphic Design. We are provide realistic, abstract and decorative oil painting and graphic design like logo, web banners etc. Our Institute Fine Arts & Graphics Academy. We are teaching Besic Drawing, Pastel Color Painting, Pencil Sketching, Shedding, Water Color, Glass Painting, Acrylic Painting, Oil Painting, Graphic Design, Logo Design, Graphical Illustration & various types of craft item’s with great responsibility. Our students will be awarded with the certificates from Dum Dum Fine Arts & Graphics Academy after completing annual examination for every courses. Drawing & Painting training is done from age 3+ toddlers, tiny standard to preliminary, junior final, Senior Level to Senior Advance Level, less time consuming special courses from 3 months, 6 months & 1 year open for all ages . Step by step learning of drawing, colouring method & graphical concepts so that students can learn easily and express themselves in art, we also feature oil painting for both beginners and advanced course. If any person wants more out of the cultre of art, we are providing an affiliation & every type of art relating things, exhibition, programme, campaigning, competition, workshops and placement facilities by Dum Dum Fine Arts & Graphics Academy. We are providing an opportunity to all successful students in a better way in their life for designing in M.N.C sectors, like Graphics & Web-Designer, Animator and Fashion Designer. Fine Arts Kolkata conducts classes in Art and Craft, Drawing and Painting. It is located in Jessore Road, Kolkata. It takes Regular Classes- at the Institute.